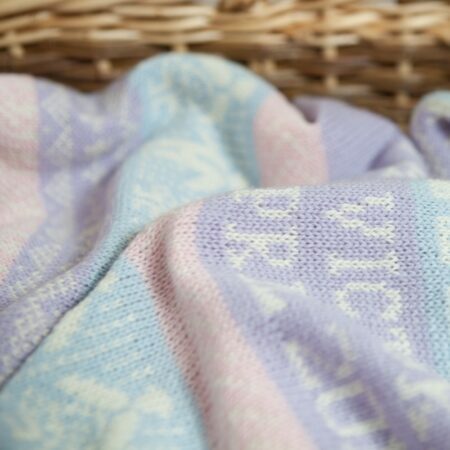 To commemorate the birth of the new royal baby, Princes Charlotte, Charlotte Cot Blankets has designed a new, luxurious, cashmere baby blanket. 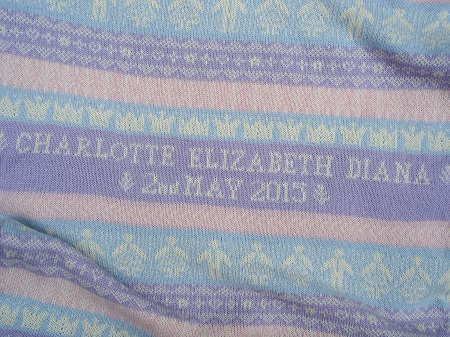 Like all Charlotte’s blankets, this blanket is made to order in Charlotte’s Norfolk studio, and is personalised with baby’s name and date of birth. Charlotte has wanted to knit in cashmere for many years, but has only recently been able to source really good quality cashmere. This cashmere is expertly spun in Yorkshire by family-run business Z Hinchliffe, where they have been spinning yarn for over 200 years. 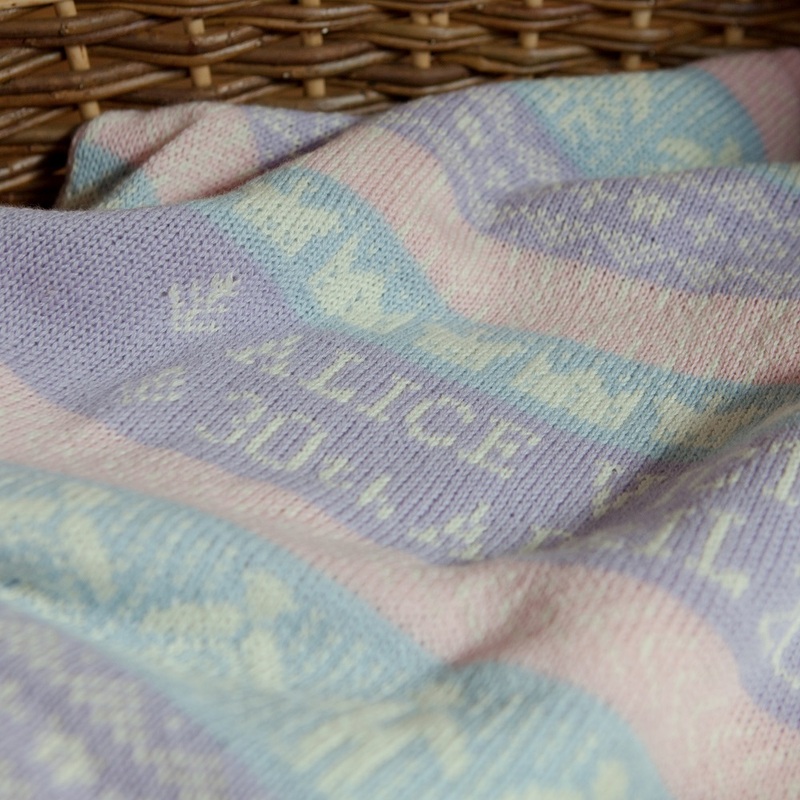 The cashmere is of superb quality and makes a very special blanket – soft, light and plump. 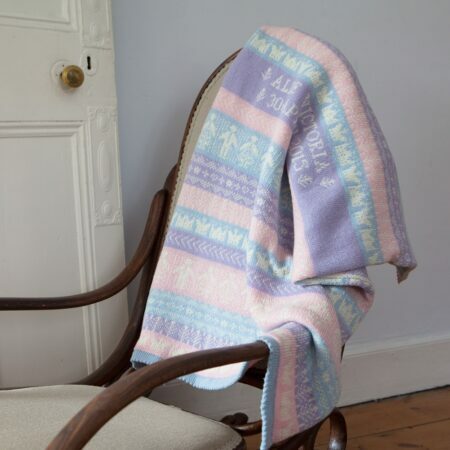 The Sandringham Cashmere Blanket is knitted in pastel shades of pink, lilac and blue in Charlotte’s signature fair isle design and features people, geometric motifs and crowns. Charlotte is currently working on another colourway, in blues and taupe – please contact us if you would like to be notified as soon as it is ready. 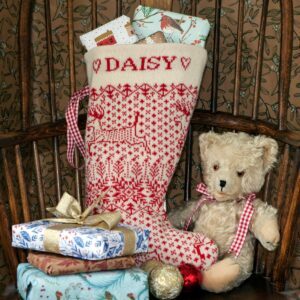 Find the Sandringham Cashmere Blanket on Charlotte’s website here. See Charlotte and her new cashmere blanket in our local newspaper here. 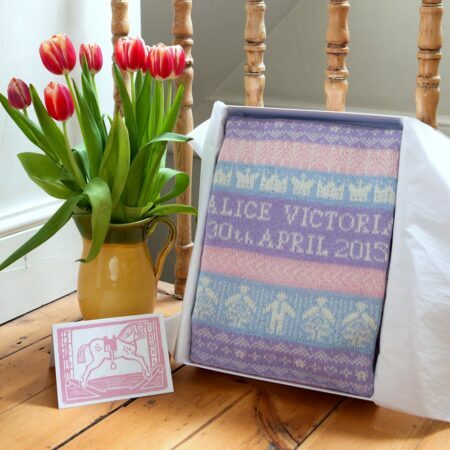 This is a very special blanket, which would make an extra-special gift for all new babies, royal or otherwise!